1.1. What do I need before I start? 1.7.1. How can I make sure that my Red Pitaya has access to the internet? 1.7.2. How can I make sure that Red Pitaya is connected to the same network as my computer/tablet/smartphone? 1.7.3. How to find Red Pitaya URL if it is not written on sticker. 1.7.4. Is Red Pitaya connected to my local network? If green and blue LEDs are ON, but red and orange LEDs are not blinking. Red LED is indicating CPU heartbeat, while orange LED indicates access to SD card. Notice that this two LEDs always starts blinking 10s after green and blue LEDs are turned ON. Make sure your Red Pitaya and computer are connected to same local network. If you are a Windows users make sure you have installed Bonjour Print Services. Disable all ad blockers in you browser. Force refresh of the Red Pitaya application page. How? Make sure your Red Pitaya has access to the internet. How? check the wifi signal strength of your Red Pitaya. Enter cat /proc/net/wireless command in order to get information about link quality and signal strength. Link quality measures the number of packet errors that occur. The lower the number of packet errors, the higher this will be. Link quality goes from 0-100%. Level or signal strength is a simple measure of the amplitude of the signal that is received. The closer you are to the access point, the higher this will be. If you are in the area with many routers around you it might happen that more of them operate at the same wifi channel which drastically decreases data throughput and slows down connection. Here are the instructions how to change your wifi router channel in order to optimize your wireless signal. For MAC users we recommend using diagnosed using Scan feature of Wireless diagnostic tool in order to find best wifi channel. For full preformence the wired connection is preffered. In some circumstances a Rassbary Pi Wi-Fi is not detected by Red Pitaya. To mitigate, detatch the power cable from Red Pitaya and wait for about a minute before powering up the Red Pitaya again. On the next boot the Rassbary Pi Wi-Fi should be detected normally. How can I make sure that my Red Pitaya has access to the internet? Connect to your Red Pitaya over SSH. PING google.com (216.58.212.142) 56(84) bytes of data. The most common answer would be: Just make sure that your Red Pitaya and your PC/tablet/smartphone are both connected to the same router or your smartphone hotspot. Windows: Go to RUN, type in cmd and press enter. Linux: Click on application button, type in Terminal and press enter. macOS: Hit cmd + space, type in Terminal and press enter. Enter arp -a command to list all devices in your local area network and try to find your Red Pitaya MAC address on the list. If you have cable connection, then your MAC address is written on your Red Pitaya LAN connector. If you have established wireless connection, then you should check the MAC address of your wireless USB dongle. Ususaly MAC address shuld be written on the USB dongle. Type your Red Pitaya IP into your WEB browser and connect to it. 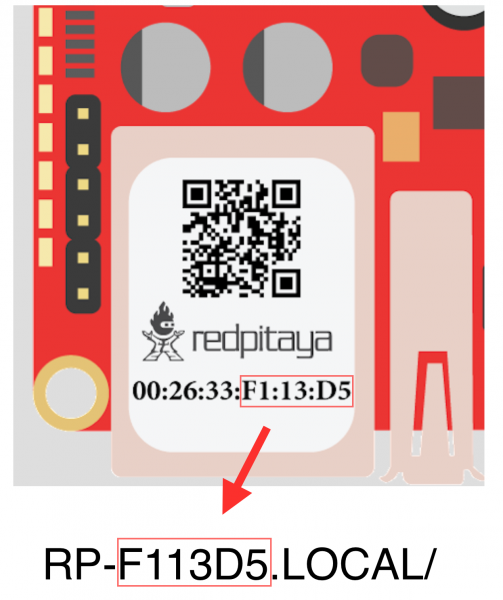 If your Red Pitaya is not listed on the list of your local network devices in the local network, then it is necessary to check that your Red Pitaya is connected to your local network. 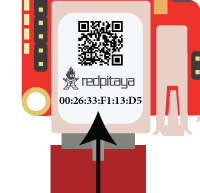 Red Pitaya URL is rp-xxxxxx.local where xxxxxx must be replaced with last 6 digits of MAC address that is written on the sticker. If RP MAC address is 00:26:33:F1:13:D5, last 6 digits are F113D5 and URL is rp-f113d5.local. Connect to your Red Pitaya to PC over serial console. How?